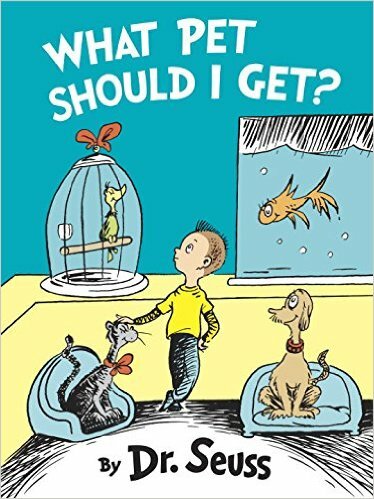 When I heard that this book was coming out, I was so excited that the world was getting a new Dr. Seuss book after all these years. My students always loved Dr. Seuss and his nonsense words. This book, however, was close to my heart in many ways. We are the parents of a rescued dog. We were at the Humane Shelter in Columbia when Truman and his brothers and sisters were brought in. We visited these dogs from time to time and Truman became friendly with Bob. 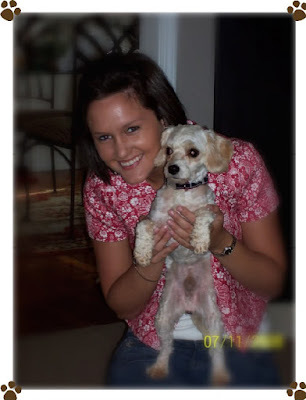 We talked about adopting him but were fully aware of the issues that come with rescued dogs. We decided to adopt him one day when Bob was away for a conference. He called on his way to it and told my daughter and I to go get him! We did, Truman shook like a leaf the whole way home. Those first few days were hard on him and we had to give him a lot of love. Truman loved our cat, Bustopher, even though Bustopher showed nothing but disdain for Truman (secretly we knew he liked him, we caught him licking Truman's head once). When I read What Pet Should I Get by Dr. Seuss, I was immediately struck at how much fun this would be to read aloud to students. Reading aloud is a part of good teaching, a chance to model for your readers how reading should sound. It is a strategy that where the teacher reads above the students' reading level but at their listening (some call this capacity level or potential level) and engagement level. Why do we read aloud: to activate prior knowledge of a subject, to start the day on a good footing, to model thinking processes of a good reader, to support writing, to give a sense of wonder about books, to create enthusiasm for literature, and so much more! Read alouds are important and should not be skipped. Teachers just don't sit down and read aloud. Good practice means that a teacher needs to preread the text, marking spots where there will be good discussion and a chance to talk about new words. Frontload the text so that students will be actively engaged in the story. Stop a few times for purposeful think alouds. Ask questions about what the students are thinking about right at that moment. For younger students, this might be a shout out, but for older students, have them jot a few words in their reader's notebooks. They can refer to these notes later when they write. This is a good time to model think alouds such as synthesizing the text, making new connections, or visualizing the text. Do some reporting out with fill in the blanks such as: I think ______________ is going to happen next. Have students whisper it to a shoulder partner, or write it down on a white board. Check later to see if their predictions came true. Later, analyze why or why not the predictions were right. Do some clarifying statements such as, Oh, this makes more sense now. I thought ____________ but it was really ________________. After the text is done, do some metacognition strategies, such as revisiting a confusing part, checking predictions, make connections to other texts or situations. Do some sketch to stretch drawings, or some timelines, or retelling to confirm comprehension. And when all of this is done... guess what the students want to do now??? Yep, that's right: reread the book! Go for it! This book lends itself to discussions about our community. How are strays treated? Where are they located? Do they have enough funding? In our community we could talk about St. Charles Shelter Friends. Shelter Friends is a 501(c)(3) nonprofit organization established to promote the health and welfare of homeless animals located in the City of St. Charles Animal Control Services in St. Charles, MO. We are not a rescue group; we are a shelter assistance and networking group whose purpose is to work directly with animals at the shelter and to help them find rescue or adoption. Adoption applications are accepted in person at the shelter. The adoption fee for adult animals is $46.50 and includes a voucher for a free spay/neuter and rabies shot. Puppies and kittens are $30.00 and include a voucher for a free spay/neuter. Great books lead to great conversations.